Have You Been Neglecting Your Kitchen Backsplash? Our kitchens are points of pride for us. Entertaining, cooking, gathering, the kitchen is arguably the most important room in the house. With such an amount of traffic going through it on a daily basis, keeping it well-maintained over time can seem a Sisyphean task. This is particularly true of the area around the kitchen sink and stove. These areas commonly have the walls behind them protected by kitchen backsplash tiles. 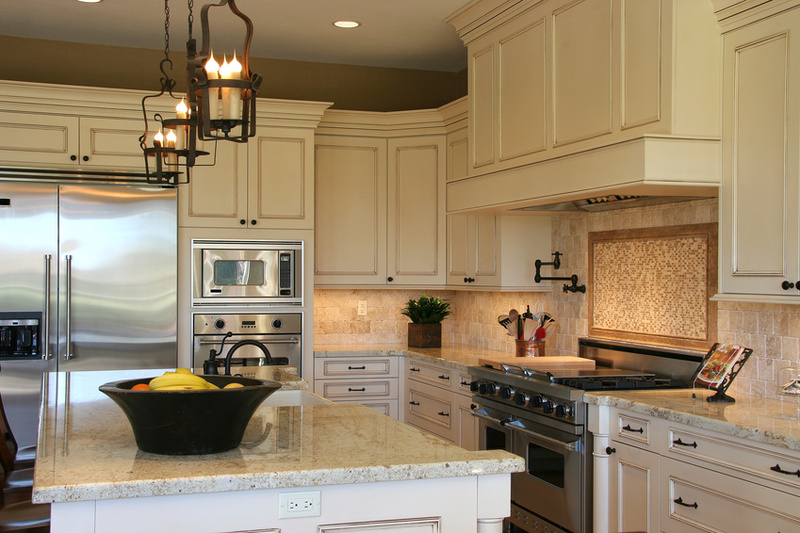 Your kitchen backsplash takes the brunt of the errant splashes that would've otherwise damaged your walls. Your subway tile backsplash might be among the chicest of the popular tile designs and it might be doing great as a protective barrier, but nothing is invincible. When your backsplash tiles are taking a beating, consider these ways to keep them looking and working great. In 2016, a study found that 26% of people budgeted between $25,000 and $50,000 for kitchen renovations. That's a substantial investment to let fall into disrepair, so we'll start with the first way to keep your backsplash thriving. Clean up after yourself. When you're behind the stove channeling your inner Gordon Ramsay, that backsplash catches errant food, grease, and general grime that you should clean when you're done with your culinary masterpiece. Leaving it to sit can cause permanent stains. If you're concerned about your kitchen backsplash tiles becoming stained or discolored over time, consider sealant. On both the grout between your backsplash tiles and the tiles themselves, applying sealant will act as a clear barrier that will protect the tiles beneath it without taking away from aesthetic. Simply wiping down your backsplash after cooking isn't enough. That removes initial layers of filth, but over time, it's important to go for a deeper clean. Everything gets a little dirty as the years go by and you'll notice it on your backsplash tiles. Grease stains are notoriously tough to clean, but mixing water and baking soda makes a paste you can apply to your backsplash that'll cut right through it. After a few minutes, wipe it clean, then apply a spray solution of water and white vinegar. Good as new. Grout between the tiles is a little tricker but shouldn't be neglected. Use a toothbrush and that same solution of water and white vinegar to scrub the grout between the tiles. Your kitchen backsplash is an in-home hero that needs some TLC every now and then. Maintain it well and it'll serve as function and fashion for years to come.